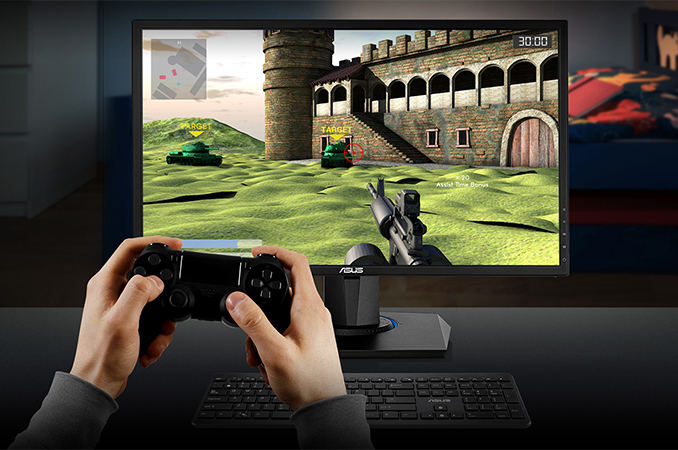 ASUS has introduced another monitor positioned specifically for console gaming that allows console owners to take their games out of the living room. The new display offers Full-HD resolution and uses an inexpensive TN panel with a fast response time, supporting a refresh rate of 40Hz to 75Hz. It features AMD’s FreeSync technology as well as a DisplayPort port, so while this is aimed at more console type gaming, in order to use Freesync it essentially has to be a 'console' PC rather than an actual console. The ASUS VG245Q display uses a 24” TN panel with 1920×1080 resolution, and the general specifications are typical for budget devices: 250 nits brightness, 170°/160° viewing angles, a 1 ms response time (grey-to-grey) and so on. The monitor comes with two 2 W speakers and has two HDMI (so to connect to two consoles), one DisplayPort and one D-Sub connector. The VG245Q can adjust its height, swivel, and pivot. One of the important selling points of the ASUS VG245-series monitors is support for AMD’s FreeSync dynamic framerate technology that works at refresh rates ranging from 40 to 75 Hz. In fact, ASUS’ VG245 family of displays, aimed at 'console' gaming, now includes three models: the VG245Q (introduced this month), the VG245H, and the VG245HE, with the latter two launched last fall. All the monitors use the same panel and have slightly different feature sets. The VG245H uses the same chassis as the VG245Q, but lacks DisplayPort. Meanwhile, the VG245HE is the most simplistic in the lineup, as it does not have swivel, pivot or height adjustments. 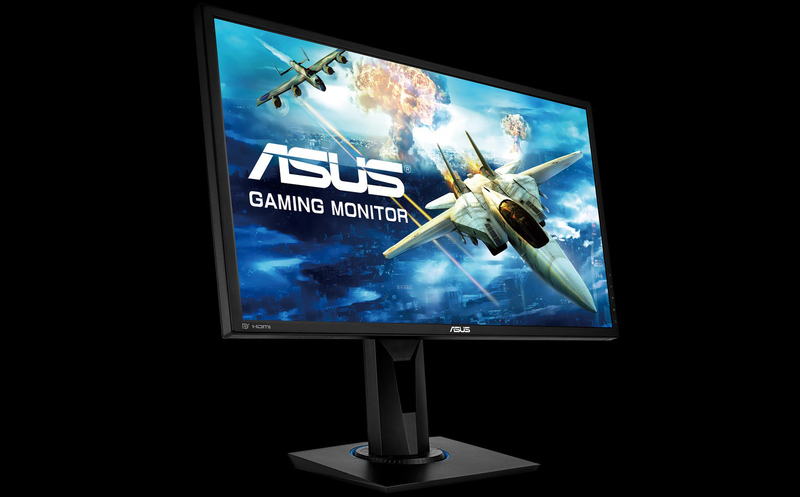 While ASUS formally positions its VG245-series displays as reasonably priced solutions for consoles, these devices are cheaper gaming monitors carrying the ASUS brand. They enable the company to address the entry-level segment of the PC market (keep in mind that the sRGB is supported as a feature of the ASUS GameVisual menu) without distracting attention of the masses from the higher-end models with advanced specs and features. 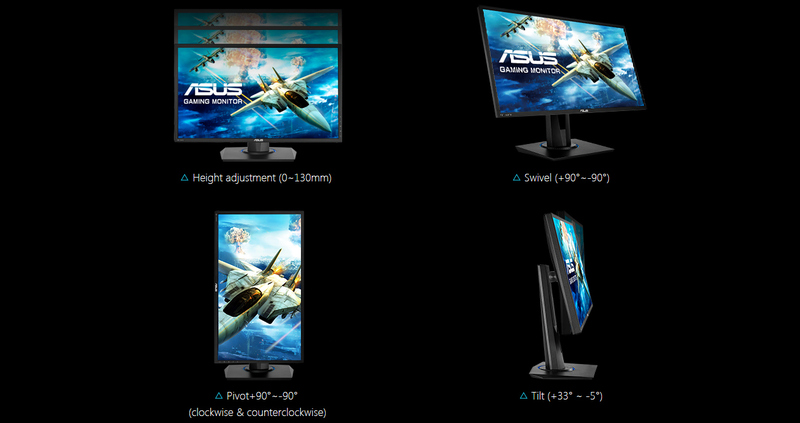 ASUS has not announced precise MSRP for its VG245Q monitor, but at present, the VG245H can be acquired for $179.99. It is unlikely that the addition of a DisplayPort connector significantly affected the cost of the VG245Q vs. the VG245H and it is logical to expect the two products to cost about the same. I wouldn't get caught up in the marketing of "console" in the name, unless ASUS knows something we don't - that perhaps these AMD-powered consoles will get FreeSync over HDMI support (which would be a great idea).